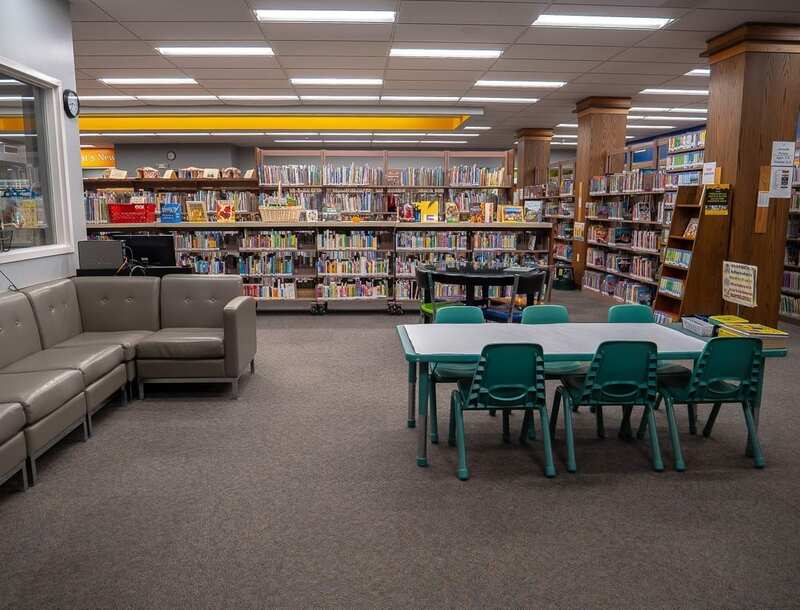 Visit our “What’s New” section, or explore our shelves filled with thousands of treasures for early readers and beyond! 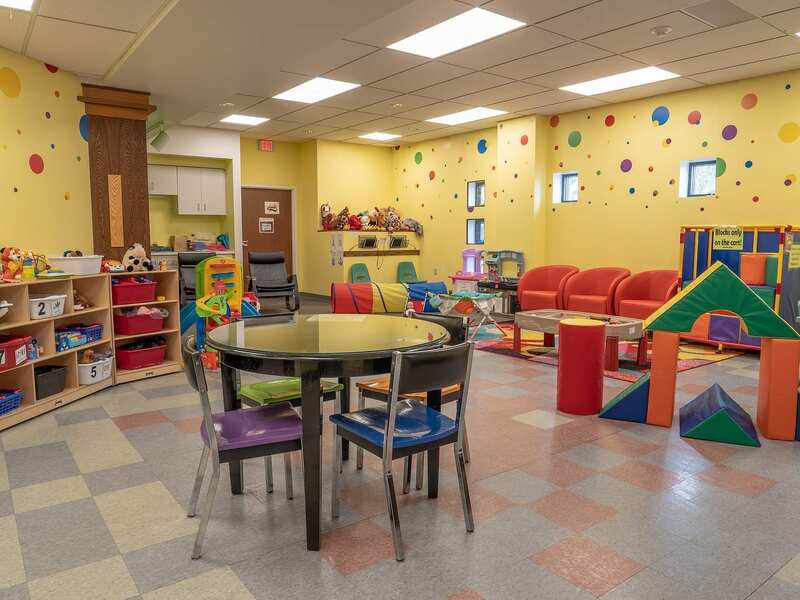 The Children’s Department features weekly events for children of all ages and is the go-to destination for kids who want to explore, learn, and have a good time! Click HERE to see the full Children’s Event calendar. Sing and listen to a story in Spanish with Miss Lizzy in The Roost! Then stay to make a craft and have a snack. Open to toddlers and preschool age children. Travel back in time and discover fun historical facts with Miss Lizzy in the Literacy Room! Open to elementary kids ages 5-12. This is a hands-on Montessori-inspired art experience for children and their parents or caregivers! Join Miss Kirsten in the Literacy Room and let your baby’s creativity shine! Open to toddler and preschool age children. Join Miss Lynn in the Imagination Station for a classic story time with crafts, activities, and a snack! Open to toddler and preschool age children. Explore simple science concepts with hands-on experiments with Miss Lizzy in the Literacy Room! Open to toddler and preschool age children. Join Miss Lizzy to discover traditional subjects in fun new ways. Open to elementary age children. Children’s Department Desk: Ask us your questions here because we are happy to help! You can also ask about crafts to complete, games to check out, and more. Don’t forget to pick up a calendar for upcoming events! 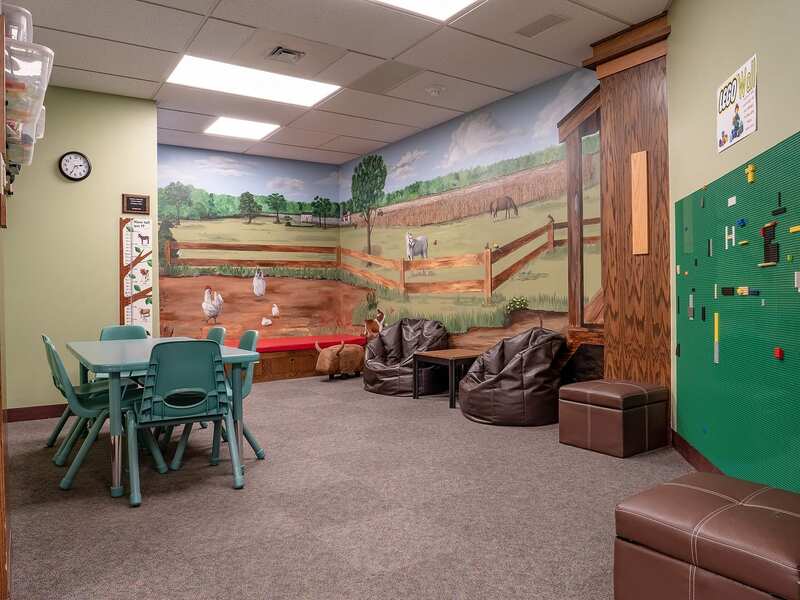 This cozy corner is where you can find the newest children’s releases! 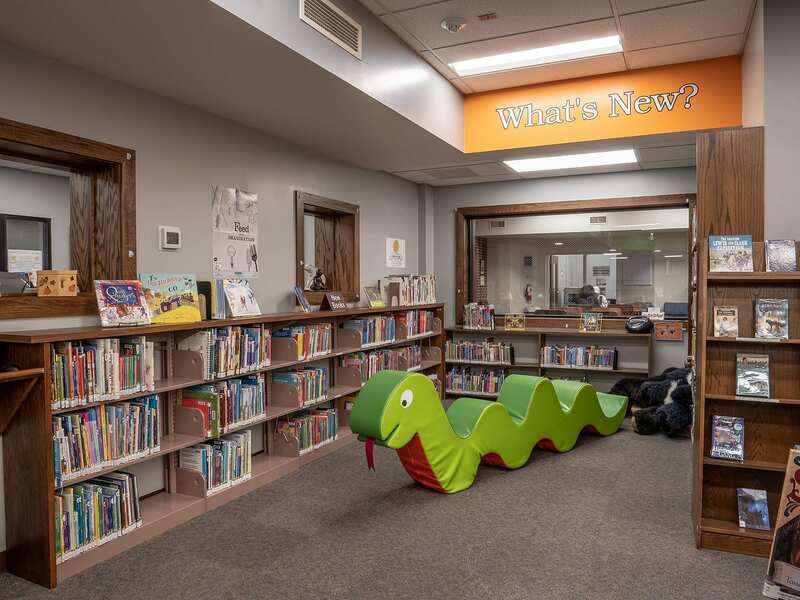 You can even read them on a giant stuffed bear’s lap or our giant green snake, Slither! Did you know that introducing infants and young children to reading is the best way to improve their cognitive development? It also helps build their language acquisition, literacy skills, and more when they are read to on a regular basis. That is why we offer the 1,000 Books Before Kindergarten reading program! Sign up is free with your library card! 1,000 books may sound like a LOT, but we make it easy! Anyone can read to the child (mom, dad, sisters, brothers, grandmas, aunts, uncles, babysitters, etc!) and it counts. Do they love a certain story? You can read that same story 2 or 20 times and will count each time. Tracking how much you read is simple. You will be given a sheet for each 100 books and simply have the child (or you…or grandma or whoever) color in how many books were read. Kids receive a book bag and folder when they register. A sticker is earned for every 100 books completed to help track your child’s progress. And child who completes the program will earn a 1,000 Books Before Kindergarten t-shirt! 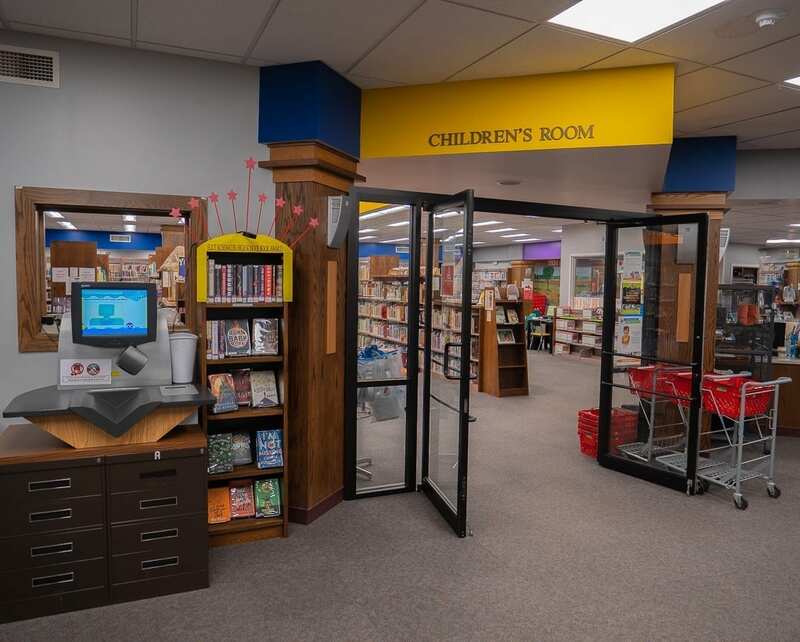 Stop by the Children’s Department today for more information and to learn how you can jump-start your child’s future with the 1,000 Books Before Kindergarten reading program! Stop in after school and work on your homework or just hang out with friends. Try the Nintendo Switch or pick one of the thousands of graphic novels to read. Spend time with the Dogs @ the Library in one of their favorite places, The Nook! Read Between the Lines Book Club – Sometimes stories are better when they are read out loud! Stop by The Nook for this read-aloud book club for tweens and teens. Popcorn Day – This snack always hits the spot after a long day at school! Try the different popcorn toppings and then challenge your friends on the Nintendo Switch. Study Day/Game Day – Need to get your homework done or study with friends? 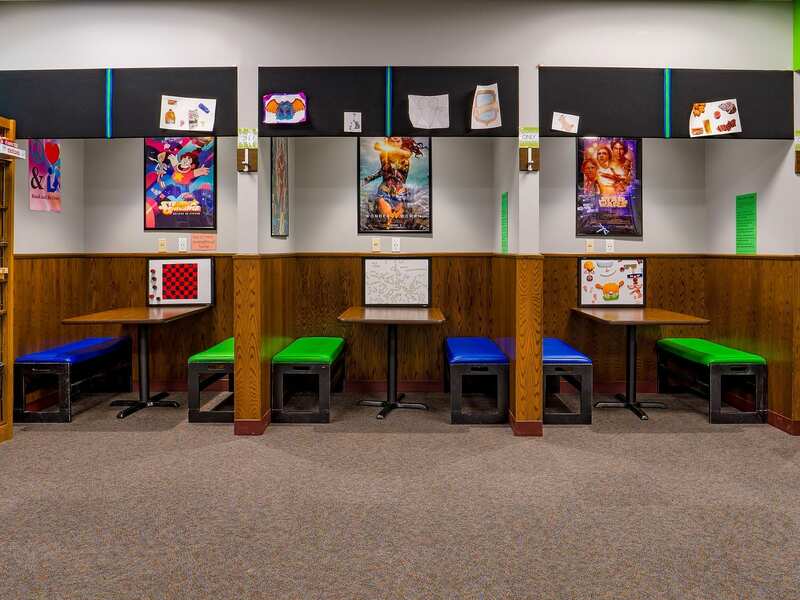 Pick a study booth and get to work! Don’t have any homework? Gather some friends and play some board games! Craft Corner – Feeling creative? Unplug for a minute and try your hand at making a craft! Crafts change weekly and DIY Craft Kits are available in The Nook! 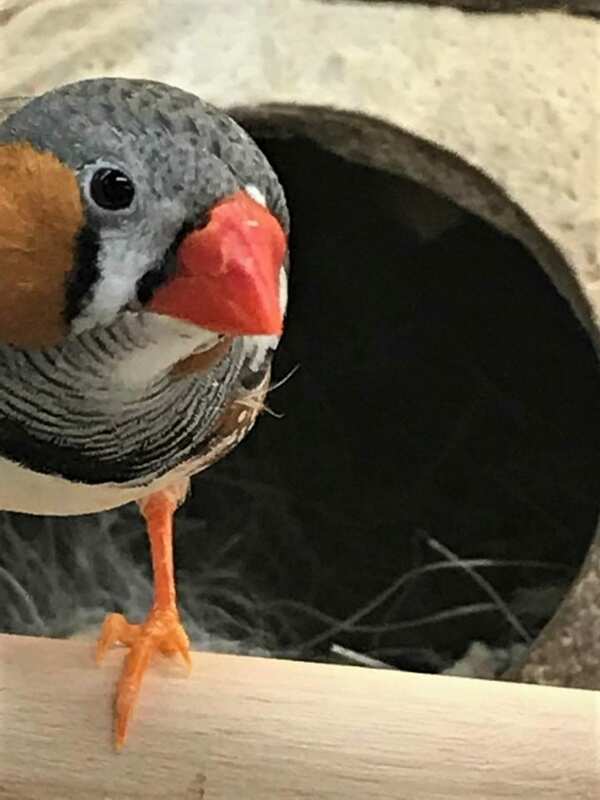 TGIF – Hey, it’s Friday! 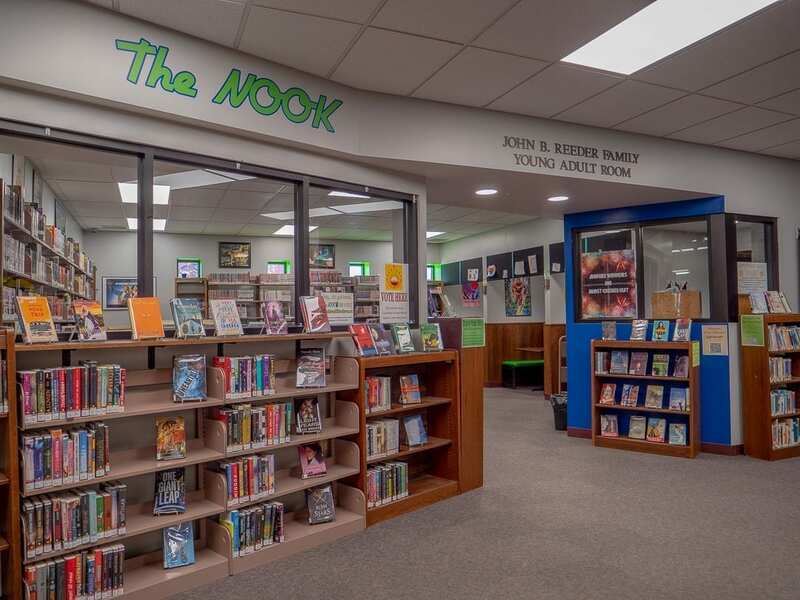 There are no special programs today and The Nook is always open during library hours. So come in, relax, hang out, and get ready for the weekend. Get cozy on a bean bag in the Gaming Area and start a game on the Nintendo Switch! 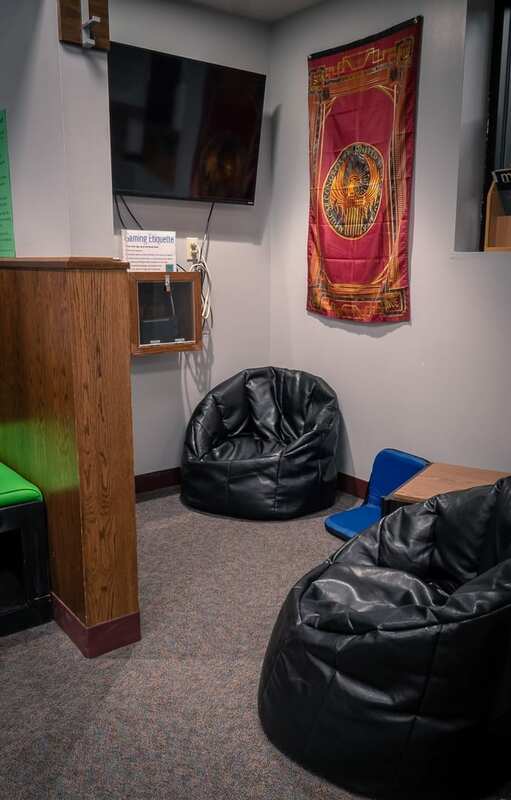 The Nook has a comfy seating area surrounded by thousands of graphic novels! Pick one, choose a spot, and be transported to another world! Tweens and teens have a lot going on in the summer. That is why we offer a Summer Discovery program that is flexible, self-directed, and most importantly, FUN! Sign up is easy, and you can win prizes by reading books that interest you! PPL’s Adult Circulation Department has something for everyone! Looking for a certain item? Our friendly staff is here to help you find what you want, in the format that you need. 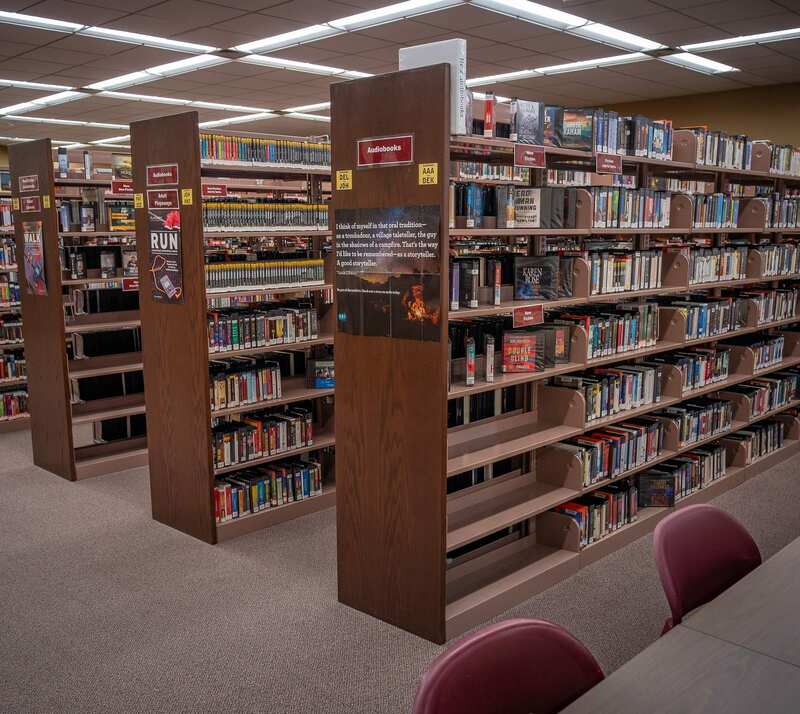 Search our online catalog, browse the New Books section, or find a quiet corner to work, study or meet with friends. 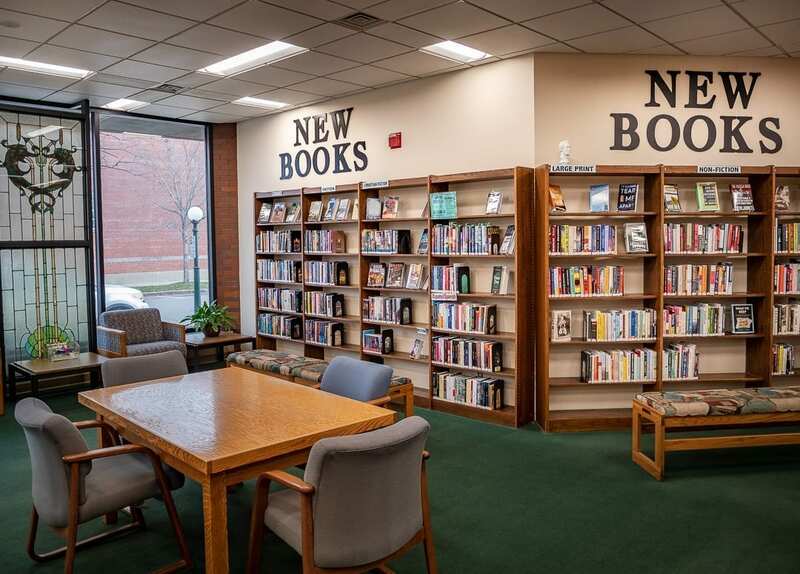 Whether you’re looking for local or national newspapers, magazines, large print books, genealogy materials, fiction or non-fiction books, we have plenty to discover! Our Audio Visual Department offers thousands of free-to-checkout music CDs and audiobooks. PPL also showcases over 30,000 DVDs ($0.50 for one week, or QuickFlix $0.50 for two days) and we have FREE checkouts for non-fiction, foreign, Great Courses, and kids’ DVDs! Our Computer Lab offers 16 internet computers with the latest version of Microsoft Office, photo editing software, and a resume writing program. Printing costs are $0.15/page for black and white, and $0.50/page for color. 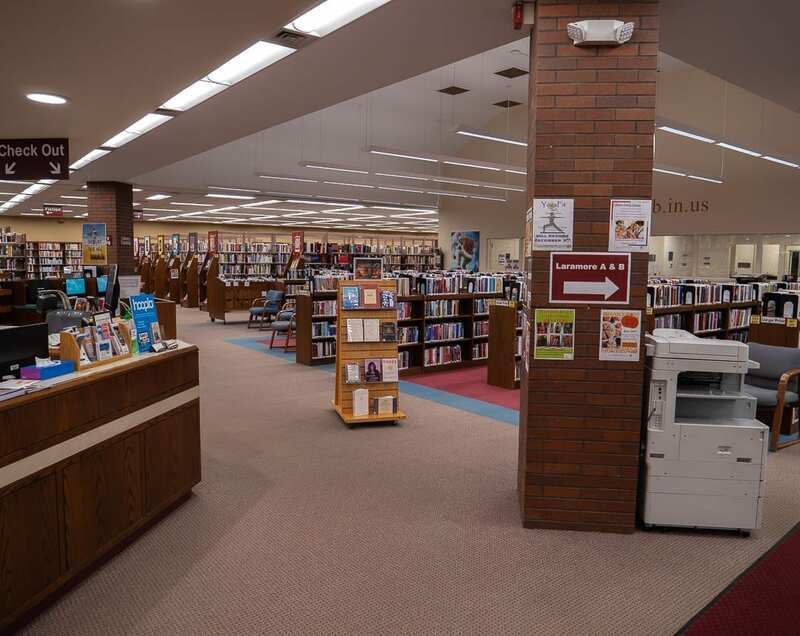 We also have a scanner to digitize your photographs or documents, two large screen computers with special keyboards for those with vision impairment, and a microfilm and fiche reader for viewing local newspapers dating back to 1873. We understand that some technology can be intimidating. That’s why PPL offers Geek Time! Patrons can schedule a time to sit down with a member of our well-trained staff, who will answer any tech questions they might have or help troubleshoot any problems that arise. 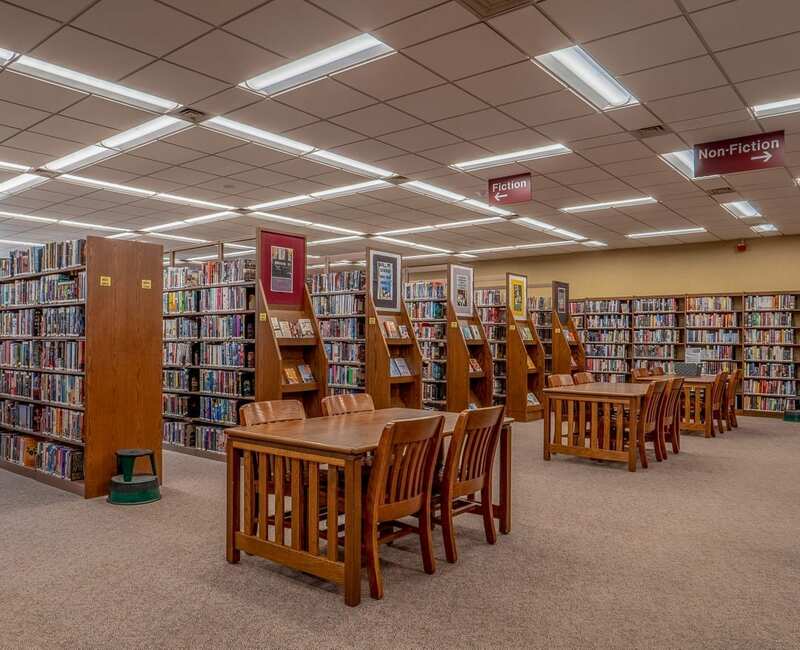 Whether you choose to use our equipment or your own, we can show you how to get the most out of our many databases, electronic resources, and programs. Over 30,000 movies can be found here! From new releases to classics, our DVD collection is always changing and offers our patrons the best in entertainment! 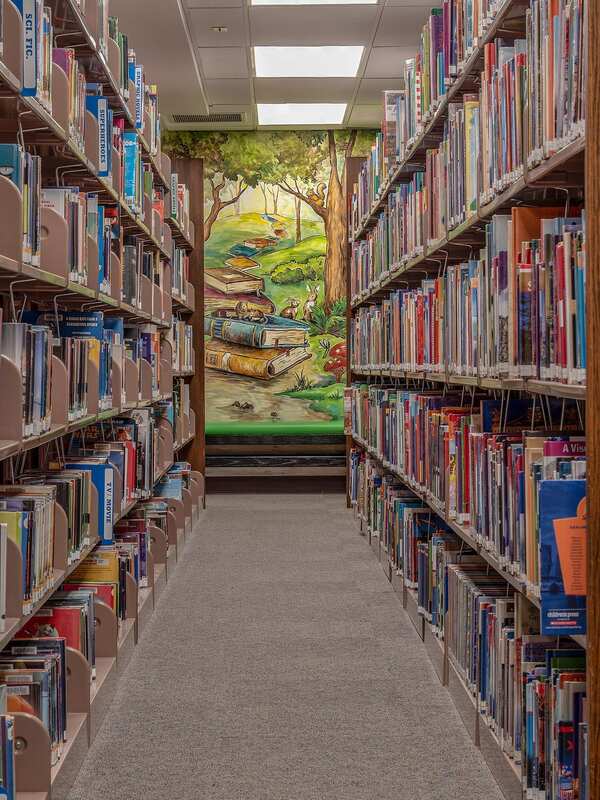 Browse our fiction, non-fiction, tv series, and children’s section. Make sure you keep an eye on the ever-changing displays, the “What’s New to our DVD Collection” boards, and the Movie Quote of the Day contest! PPL has hundreds of CDs available for checkout next to the Large Print section. Take a look at the new music or pick a favorite musician or band. Whatever your tastes, you can find it here. Would you rather listen to a book than read one? Audiobooks and Playaways can be found just past our magazine collection in the middle room. All you need is a CD player for the audiobooks or headphones and a AAA battery for the Playaways! It’s that easy and the best part is that we offer new releases in both formats. Need a minute to relax, unwind, and get caught up with current events? PPL has over 100 magazines and 20 newspapers to choose from! We also have Spanish-language magazines available. 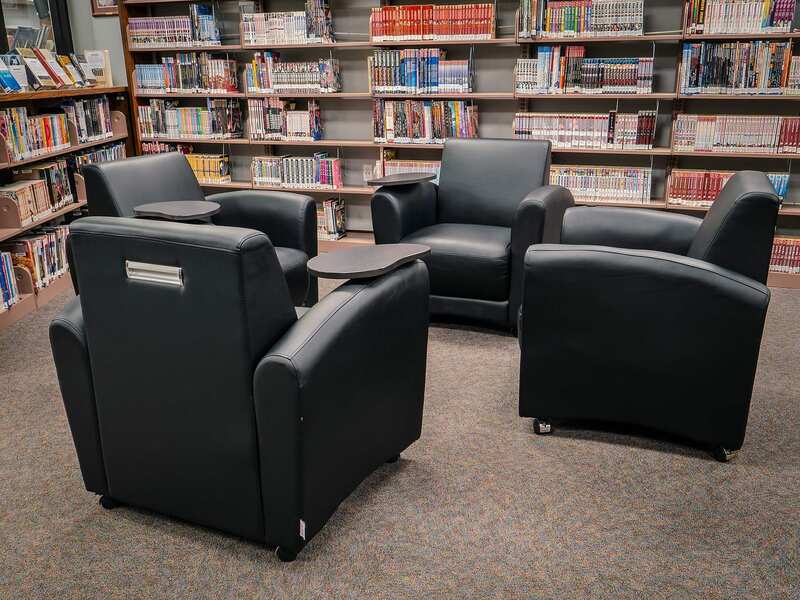 Take a seat and flip through pages in our magazine area or check them out to take home. PPL strives to build a book collection that offers classics and modern literature for its patrons. PPL has a combined Fiction and Mystery section. We also have Christian, Romance, Sci-Fi, and Western books by genre. Our Non-Fiction section features a wide assortment of books from reference, genealogy, self-help, cooking, biographies, and much more! The New Book section is the go-to spot for bibliophiles who just can’t wait for the newest releases from their favorite authors. Join us for interactive events held in our Makerspace! Tuesdays are DIY nights where you can learn how to do your own arts and crafts projects (like pallet board painting or decoupage) or learn various DIY food techniques (like making your own pickles or home brews of Kombucha). Thursdays offer “open time” where you can stop in at your leisure and work independently or collaboratively on 3D printing, Photoshop editing, video production and more! We also offer art classes on the 1st and 3rd Saturdays of each month. Join us in the Makerspace to connect, discover, and experience! Kids spend all year waiting for summer to arrive, and guess what? Adults do too! Join us for a Summer of Discovery! This interactive reading program is based on a new theme each year. And just like the kids’ version, there are fun prizes to earn as well! Additionally, adult programs will be held that are related to the theme. Be sure to check out the calendar of events during the summer. Start your year off with an exploration! 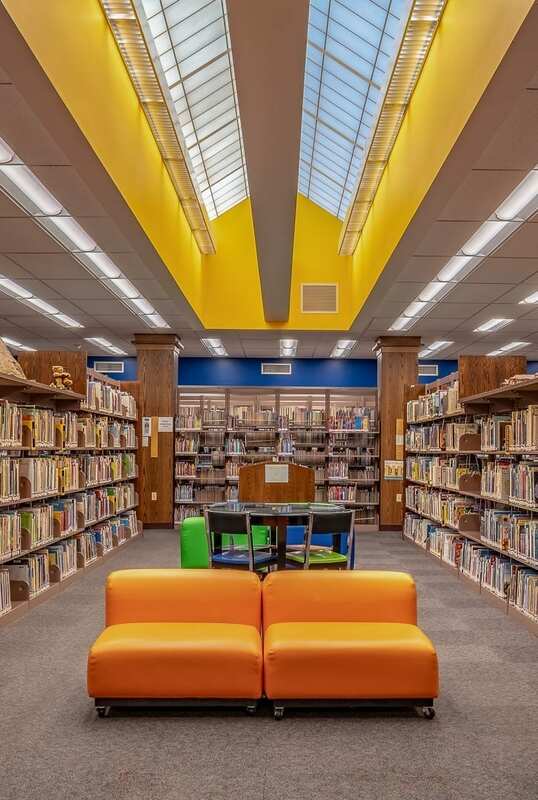 January through February, PPL patrons age 18 and older can join Winter Exploration, which is an interactive adult reading program with a collective goal of reading 1,000 books by the end of February. Curl up with a great read in the colder months and be eligible for cool prizes! This reading program runs until the last day of February and allows you to read anything and everything your heart desires. There is no limitation to your exploration!